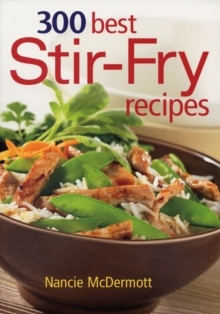 A cookbook of true Thai culinary spirit with delicious and magical dishes. 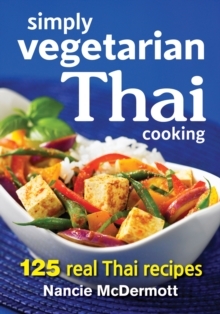 Though millions love Thai food, actual meatless recipes and dishes are often difficult to find. 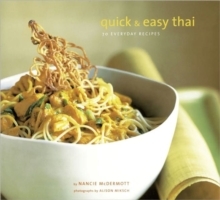 Nancie McDermott has developed innovative and authentic variations on traditional Thai recipes, providing health-conscious home cooks with a repertoire of vegetarian dishes that capture the vibrant tastes and scents of Thailand. 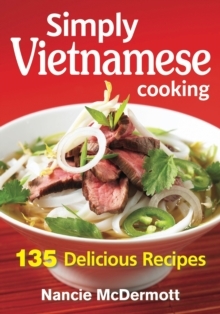 From refreshing salads and savoury soups to tasty and spicy mains and side dishes to the wonderfully refreshing Thai Iced Tea, this definitive cookbook offers 125 delectable recipes for every meal and occasion. Vegans will be pleased with the recipes since dairy products are virtually unused. The ever-popular eggs as an ingredient are usually left whole in these recipes, making substitutions and omissions easy. 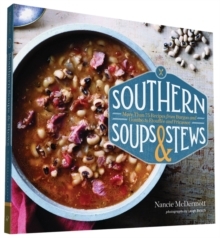 In most of the recipes that use eggs, Nancie has provided adaptations for vegans.